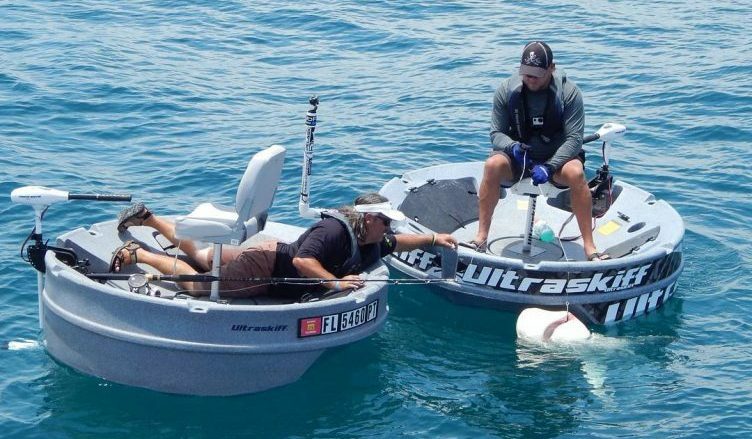 The Ultraskiff 360 watercraft is a portable platform for fishing, hunting, eco-touring, diving, and relaxation. It is the only patented, portable boat that has a round design. It’s made of roto-molded polyethylene and stainless steel materials which are both lightweight and durable. Its compact design allows you to easily transport it at the back of a pickup truck, on a utility trailer, or aboard a small boat. It measures 6ft in diameter and has a height of 20in. The hull with the detachable seat weighs barely 130lbs. The round design was inspired by the portability and low maintenance features of a kayak and a raft. Kayaks and rafts can be easily stored either indoors or outdoors and don’t have registration costs and duties like bigger boats do. Its inventor, being a kayak fisherman, thought of how he should design a kayak that can accommodate a comfortable stool, deep compartments, and rod holders without sacrificing its size, weight, and durability. The round design came to mind as it enables the raft to be easily rolled to different locations. Its eye-catching shape helps secure a spot in the market. 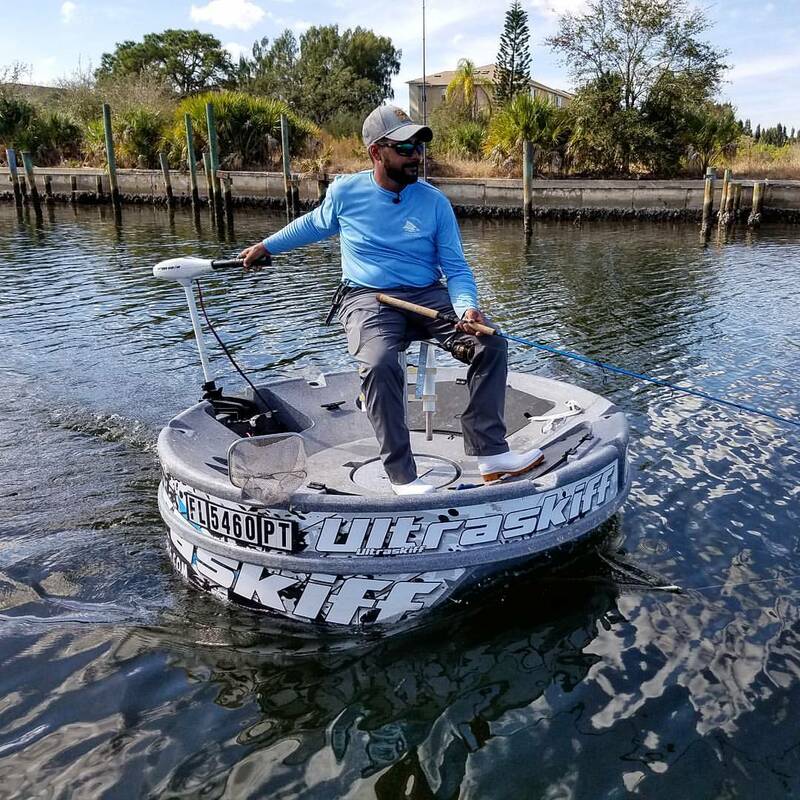 The Ultraskiff 360 is designed to give the most satisfying fishing experience to users. The outer perimeter is inclined and elevated a bit higher than the stool’s position to give you leverage whether you’re sitting or standing. The gradient surface of the Ultraskiff 360 improves your stability while on your heels, making it easier to shift weight around as needed. You can apply pressure with your feet anywhere around the raft without worrying it will capsize. This is really helpful when you want to move the raft towards a fish fighting your hook. 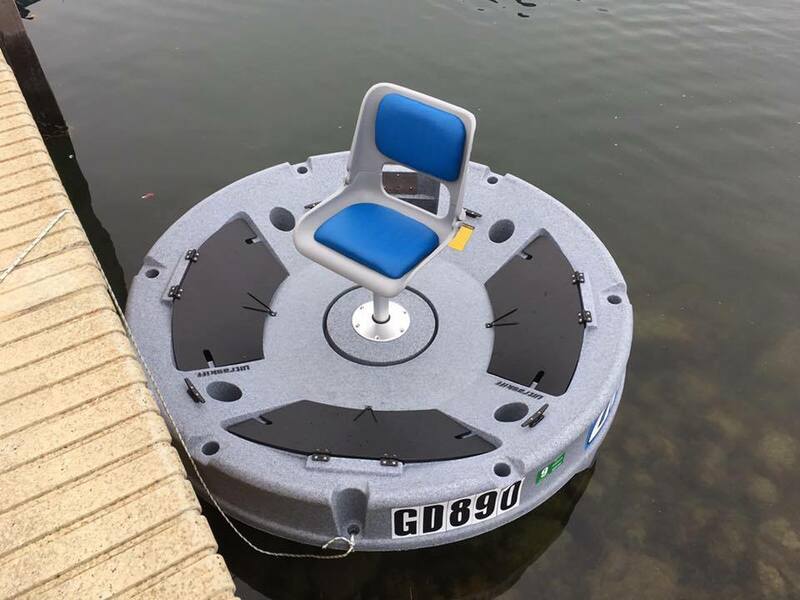 The product features a patented detachable seat with shock absorbers built separately from the plastic hull of the boat. This mechanism allows the fulcrum of the pedestal to shift independently from the raft’s hull so you don’t have to worry the boat will overturn when you shift your weight. You’ll also experience very little rocking motion while seated even in choppy water. The seat can be replaced with any 7in square-shaped or 9in round-shaped seat base. Removing the installed seat makes the raft lighter and leaves a hole at the center where security locks can be inserted for easier transport. 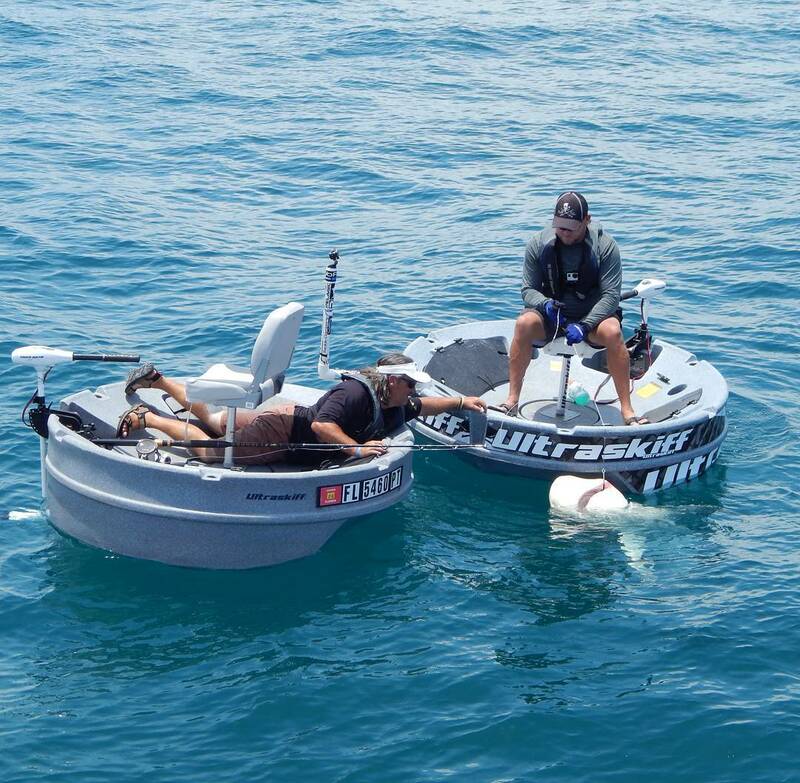 Ultraskiff can be outfitted with several pieces of equipment and accessories. You can choose to design the hull with decals and vinyl boat wraps, replace the seat with a more comfortable one, change the pedestals, install a trolling motor, add coolers, expand the rod holders, or attach an anchor. All of these are available on their official website along with trailers and cargo carriers you can attach to your vehicle and help you carry the raft.